write Kate McClymont and Francois Pilet. Crocodile Dundee star Paul Hogan may have settled his tax case with Australian authorities but he is accusing his once-trusted tax adviser of absconding with $US34 million ($32.3 million) he helped Hogan hide in offshore tax havens. 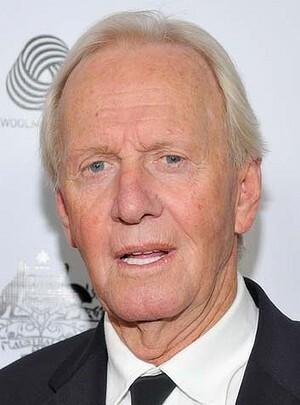 Paul Hogan is unable to access funds stashed in a Swiss bank account, accusing his former tax adviser of allegedly helping himself to the actor’s millions. Courtesy Nine News. There is already an international warrant out for Philip Egglishaw, the man known as the ”bowler hat Englishman”, who is the alleged mastermind behind Australia’s biggest tax evasion scheme. But now the international fugitive has the Australian actor on his tail, with Hogan’s advisers taking legal action in the US alleging Egglishaw, who set up elaborate corporate structures in tax havens to help his clients evade tax, has stolen the entertainer’s money. Swiss newspaper Le Matin Dimanche has reported Hogan’s $US34 million ”has been lying for almost 20 years in account number 379865 at the Corner Bank in Lausanne” run by the Geneva firm Strachans. But Hogan cannot get his hands on it. Egglishaw is alleged to have ”absconded with or spent all” of Hogan’s millions, according to documents filed in the Californian District court by Hogan’s representative, Schuyler ”Sky” Moore, one of Los Angeles’ top entertainment lawyers. Throughout last year, Hogan and his US advisers became increasingly anxious after Egglishaw refused to provide any bank statements or accounts relating to the millions in the Carthage Trust. An added problem for Hogan is that the other signatory to the Carthage account is in jail in Australia. Philip de Figueiredo, Egglishaw’s partner at Strachans, is serving 2½ years in prison. Last month in the Queensland Supreme Court, de Figueiredo pleaded guilty to three counts of conspiring to defraud the Australian government of more than $4 million in tax. His guilty plea related to helping clients avoid paying tax. A string of Strachans’ clients such as prominent entrepreneur Glenn Wheatley, Brisbane entrepreneurs Adam Hargraves and Daniel Stoten, have already served time for tax evasion. De Figueiredo had money laundering charges against him dropped and he has agreed to assist authorities with ongoing investigations. An arrest warrant has been issued for Egglishaw over the same matters. It is believed he is in Switzerland. Operation Wickenby, a joint investigation by the Australian Crime Commission and the Tax Office, has taken years and cost millions of dollars investigating Egglishaw’s and de Figueiredo’s Australian clients, including Hogan and his comedy sidekick John ”Strop” Cornell. After years of legal battles, Hogan and Cornell settled with the Tax Office on confidential terms. Its fight with their financial adviser Anthony Stewart continues. After the Crime Commission and Tax Office began stepping up their inquiries into Hogan in 2005, Egglishaw set up a new trust for Hogan called the Carthage Trust. This trust replaced the Quatre Saison Trust which was alleged to have been a vehicle set up by Strachans to enable Hogan to stream revenue from his Crocodile Dundee franchise into offshore accounts and thereby avoid paying tax. Hogan disputes this. The initial beneficiary of the Carthage Trust was listed as the ”British Red Cross” but later documents stated ”the sole intended beneficiary of the Carthage Trust is Hogan, and this structure was adopted to maintain his privacy”. Egglishaw used another entity, Grasselle, a British Virgin Islands company, to run the Carthage Trust. Up to $US37 million was held by Carthage Trust in the Corner Bank in Lausanne. Late last year, Moore, who is listed as the trustee of Hogan’s Carthage Trust, launched action against Egglishaw and Strachans in the US. In the Californian court filings, Moore stated he believed Egglishaw had absconded with Hogan’s millions, or if he had not, he intended to. California District judge Otis D. Wright summed up Moore’s case when he said it was ”a sordid tale of wayward fiduciaries and international fraudsters supposedly absconding with millions of dollars in funds from a Swiss bank account”. But there were two major problems with Moore’s case, Judge Wright said. California was not the correct jurisdiction to bring the action since one defendant, Grasselle, was a company in the British Virgin Islands and the other was a British-born Swiss resident. ”Given the dearth of connections … to California, the ‘long arm of the law’ is simply too short to reach them,” the judge said, dismissing the case in February. According to Le Matin Dimanche, Brian Merryman, Egglishaw and Strachans’ US lawyer, has said Judge Wright’s decision had not been appealed and Moore had not lodged any further complaints. Hogan’s Australian lawyer Andrew Robinson tried to distance Hogan from the US court proceedings, saying he was ”not a party and gave no evidence by way of affidavit or otherwise” in the recent case. ”Paul has never denied the existence and operation of overseas structures set up in accordance with competent advice received,” Robinson said. 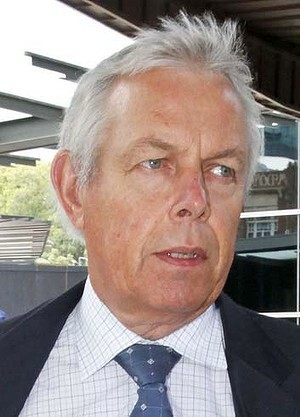 The Wickenby tax inquiry was kicked off by the 2004 seizure of a computer belonging to Egglishaw, who was in Australia to see some of his clients. Le Matin Dimanche came across the Hogan court case as part of an inquiry by the International Consortium of Investigative Journalists into the use of tax havens. This entry was posted on Monday, April 15th, 2013 at 10:26 am and is filed under CRIMINALS TERRORISM, FRAUD, Money & Investments, PEOPLE. You can follow any responses to this entry through the RSS 2.0 feed. You can leave a response, or trackback from your own site. Created by miloIIIIVII | Log in | 82 queries. 34.898 seconds. | Entries RSS | Comments RSS.